Whatever you think about their music, past or present, the band Pink Floyd has an amazing, enduring name, with a subtle power that reveals itself gradually over time. The name was created on the spur of the moment by early member and “crazy diamond” troubled genius Syd Barrett, by combining “the given names of two blues musicians whose Piedmont blues records Barrett had in his collection, Pink Anderson and Floyd Council” (Wikipedia). 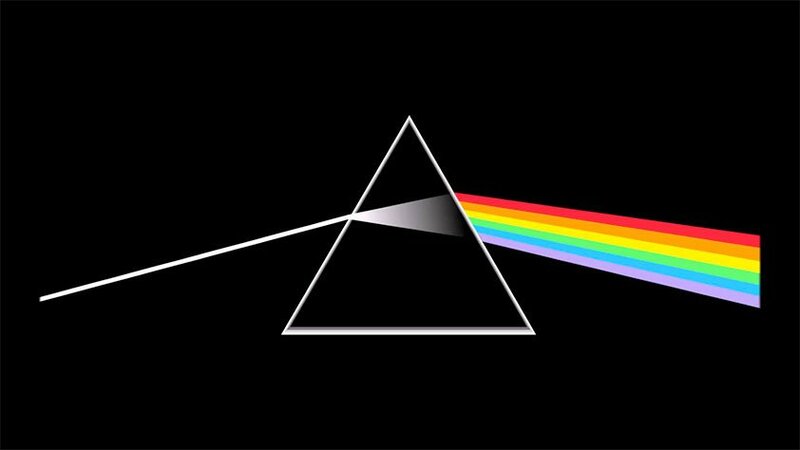 The unique combinations of strangeness and familiarity, modern (“Pink”) and retro (“Floyd”), young and old, have led to this being an enduring name still vital nearly 50 years after it burst upon the London music scene in the mid-1960s. Contradiction and simplicity combine to form one of the greatest band names of all time. And it only works because “Pink” can be a name and not just a color, which is only the case because “Floyd” is a name; note, for instance, how much less interesting is the contemporary band name Pink Martini. The band wouldn’t have been in the pink without the influence of Syd Barrett, however, as a look at the names of their previous, pre-Barrett incarnations reveals: Sigma 6, The Meggadeaths, The (Screaming) Abdabs, Leonard’s Lodgers, The Spectrum Five and, finally, The Tea Set, a name they would have stuck with had there not been another local London band with that exact name. A great example of viewing a name or trademark conflict not as a problem, but as a blessing in disguise if it leads to a much stronger name. In a world where too many bands try too hard with their name to be different, the name Pink Floyd is one that, with seemingly little effort, stands out clearly from the pack. Shine on. “Fearless” is one of my favorite Pink Floyd songs, due in part to the embedded (football) field recording of Liverpool Kop fans singing the Rodgers and Hammerstein composition “You’ll Never Walk Alone”. So I was enthralled by this On The Media story about a football fan who spent the last 5 years recording, collecting and archiving over 20,000 football chants. The impulse to archive isn’t restricted to dying languages or ancient relics. Sometimes you archive something simply because you love it. Fanchants.co.uk is a repository of more than 20,000 soccer fan chants from all over the world. It started as a business and remains one – but it’s become a labor of love. Bob speaks with Michael Dennis, a co-founder of Fan Chants. Can You Here The Wednesday Sing?